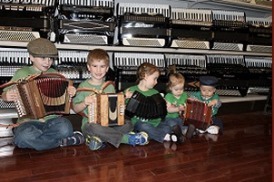 Liberty Bellows provides accordion instruction for all levels of study and musical genres. We offer lessons on an individual or group basis and include participation in one or more practice bands at no extra charge. We also offer Skype lessons around the world. We encourage you to start learning accordion using the FREE online lessons shown below. Each video series can be viewed full screen in YouTube. To advance to the next video in a series, click the forward arrow in the YouTube controls. As part of our goal to provide quality accordion education, we aim to match up talented accordion artists with students in our local community and around the globe. If you are interested in applying for a position, please contact us with your availability in the Fall, Spring, or Summer semesters. 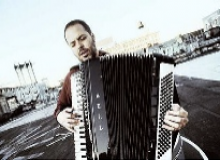 Tony is a professional accordionist performing in the NYC, New Jersey, and Philadelphia areas. An extremely versatile musician, Tony performs an extensive repertoire of French, Jazz, Italian, Gypsy, Tango, Polka, and Pop music. Current projects include Lambertville-based Gypsy Jazz quartet ‘The River City Healers,’ and French Chanson duo “Kim and Tony.’ In addition, Tony performs solo accordion at special events throughout the east coast. 1. Introduction to Brazilian rhythms and how to use the accordion to create a percussion-like "groove". 2. Develop techniques and skills to increase improvisational skills. 3. How to practice, compose, and play by ear a wide variety of jazz and world music styles.